Ahead of the 2019 national and provincial elections, the Independent Electoral Commission (IEC) is gearing up for the last voter registration weekend scheduled for 26 and 27 January 2019. Voting stations will be open from 08h00 to 17h00 on both days to allow new voters to register and existing voters to update and to check their registration details. 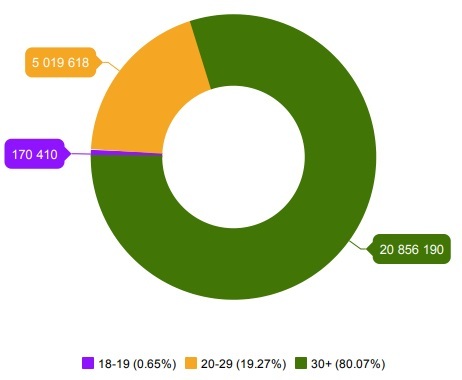 Total registered voters is currently at 26 046 218 against a voting age population (VAP*) of just under 35 million. 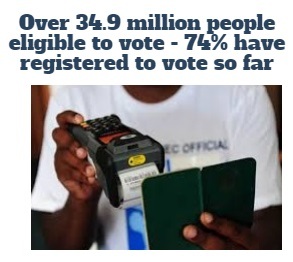 According to the IEC, currently, young people eligible to vote constitute more than 15 million of the country’s population. 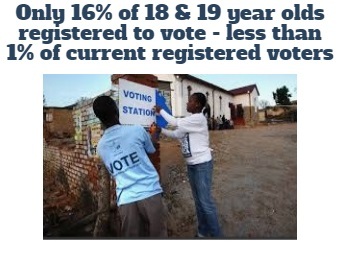 A mere 16% of South Africans between the ages of 18 and 19 and only 54% of the country’s population between the ages of 20 and 29 are registered to vote in the upcoming elections. Recently, City Press said that 'if the current number of unregistered citizens under the age of 30 were to all register and vote for one party in the 2019 elections, that party would win by a resounding majority'. This means that the biggest impact any party (opposition parties in particular) hope to make in the elections will come down to who captures the youth majority. This is reminiscent of the 2008 Obama "Yes We Can" winning campaign where 55% of Americans aged 18 to 29 voted - the second highest youth voter turnout in that country's history. In response the IEC has launched the youth targeting Xse (Ek sê) campaign with a newly designed logo and a TV ad to go with it. The Commission's Chairperson, Glen Mashinini said South African youth are 'not apathetic, but converse differently and receive information differently and that was the reason for the campaign's youthful feel'. Please check your voter registration status online, SMS your ID number to 32810, or check on the IEC's mobile app for your voting station. If you are 18 years or older, you stand a chance of winning R10 000 by telling News24 your voter registration status here.